The dermatology conference always bored Helen senseless. She was so far ahead of her field she never learnt anything she couldn’t work out for herself. But the late night poker games, gambling unusual skin samples from their collections, those made it all worthwhile. It was getting late, and there were only three of them left in the sweaty-smelling hotel room – her, an Australian named Dawkins and a guy from the Martian colonies named Gomolka. The stakes had risen. No-one was betting on misguided tatoos, old body mods or amusingly shaped moles any more. “It’s amazing.” Helen had never wanted anything so much in her life. It was like a piece of the past calling out to her, the deep ancestor of so much of her work. She reached out to touch the plastic slide holding the sample, but Dawkins batted her hand away. He nodded to the dealer, who laid out the three public cards of the flop. Battling to keep a straight face, Helen stared from the pair of cards in her hand to those on the table. 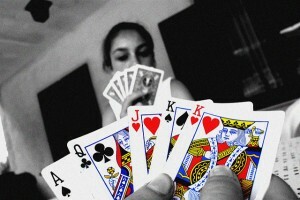 Three, four and six of clubs there, and she had the king. It looked promising for a flush. They added more skin samples to the pile of bets. The dealer set aside a burn card and flipped the turn. King of diamonds. Not a fifth club, but a match for Helen’s king. Not great, but not terrible. These were the best moments – when the game sat on a knife edge. She glanced at Dawkins. His little finger tended to twitch when he was bluffing, but there was no sign of that as he added to his stake with a green stained scalp sample. Gomolka set aside his cards with a sigh. He got up, leaving the two of them at the table. Helen hesitated. A pair wasn’t much to go on, but that cancer kept drawing her eye. She’d always wanted one for her collection, and they cost more than the office she worked in. When else would she get a chance like this? Her fingers closed around a plastic document, the only other thing precious enough that she’d kept it in the case. The deed for her new premises. Most of her wealth invested in an object as thin as skin. She couldn’t give up on a game this good. “This big enough?” Heart hammering, she tossed the deed on the pile. The dealer revealed the river, the last card of the round. Helen’s heart pounded so hard that for a moment she thought Dawkins would see it beating in her chest. Four of diamonds. That left her with two pairs, but what did it mean to Dawkins? His finger didn’t move. A tiny hint of a smile caught the corner of his mouth. There was only one thing for it. The other priceless piece of skin she had with her. A modification on her arm, and beneath it a hidden card she kept for emergencies. The king of hearts. She’d practised enough that she could switch it in with a little sleight of hand, and then she’d have a full house. With her business at stake, not to mention that priceless cancer, it had to be worth it. She tensed a muscle and felt the loosened skin start to peel back. Then a thought stopped her. The thrill of these games was the only thing that made the conferences worthwhile. If she sullied that, what was she left with? And what would she think of every time she looked at the cancer on her wall? Unclenching, she let the fold of skin close. “Let’s see what you’ve got,” she said, and laid her cards on the table. Thanks to two of my readers for inspiring this story. Jo asked for a story in which cancer has largely been cured, which made a nice change from my often gloomy sci-fi. Marios suggested ‘Skin in the Game’ as a good title for a story. I hope you both enjoyed it. My latest e-book, a short historical story called ‘Honour Among Thieves’, is out now. A story of adventure and divided loyalties in medieval England, it’s available for free from Amazon or Smashwords. Please go grab a copy and enjoy some more of my fiction. If you have an idea for a future flash story, let me know in the comments and I’ll try to fit it in. 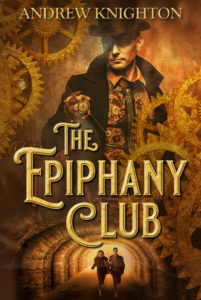 And if you’d like to read more like this then you can get a free e-book, as well as flash stories straight to your inbox every Friday, by signing up for my mailing list. Yay! The Martian colony reference was nice, too.